Electricity | En-Pro International Inc.
We complete a thorough consultative process with each client to determine risk tolerance and their cost reduction goals. An analysis of distribution rates for each account to ensure the most appropriate rates are applied, all applicable discounts are received and any penalties avoided. In deregulated markets, an hourly consumption load profile will be constructed and analyzed to determine where pricing risks exist. 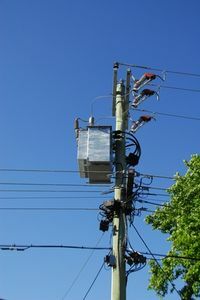 The best supply alternative will be recommended, whether it be through the local utility or a direct marketer of energy. Where required, an energy marketer will be recommended to allow implementation of recommended pricing strategies, ensuring credit, pricing and flexibility are paramount. An Action Plan for implementation will be provided. Supply agreements are presented and reviewed to ensure they meet each client’s needs. Supply pricing strategies will continue to be developed to ensure risk is mitigated and cost reductions are maximized. Usage load profiles will continue to be updated, ensuring risks are protected. Regular performance tracking reports will be provided to measure cost reductions and costs against budget . Full budget preparation is provided for each fiscal year as well as updates. - Bernie Dauvin, Vice President, Supply Chain, PTI Group Inc.
PTI is one of North America’s largest fully integrated suppliers of remote site services providing temporary and permanent workforce accommodations, food services, facility management, and water and waste water services to resource industries worldwide. PTI is a subsidiary of Oil States International Inc.